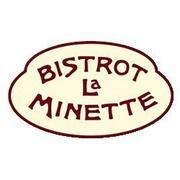 Bistrot La Minette is looking for an experienced line cook or Sous Chef to work at our classic french restaurant. We emphasize classic culinary technique, and strive to serve the most authentic and delicious french food in the city. We are looking for a Team member with a proven track record in an upscale, detail oriented kitchen, someone who will be able to come in, prep though an entire list in the afternoon, speedily set up a station, and work a smooth service. We are looking for an excited, hard working, and highly motivated person to step onto the line, ready to put out fantastic French food every day. This candidate will be ready to work in a faced paced environment, be dependable, and be looking to improve their skills every day. This candidate will also be a team player, looking to become part of a kitchen that works together to succeed. Line cooks work from 12:30-close (as early as 10:30, as late as 12), and work 5 days/week. Working on weekends is mandatory. Sous Chefs are working line cooks who are the team leaders in the kitchen. Sous chefs also assist in menu development, inventory, ordering, and specials production, as well as off-site events.